I read the announcement about Camera Plus 2 on DP Review and decided to give it a spin. I had been a big fan of the original, and thought the new version might be good for RAW capture with my iPhone. After an evening of testing, I do like the updated interface. I had no problem controlling my captures and getting the results that I wanted. As for RAW photography, as long as I shot RAW+Jpeg, the images showed up perfectly in Photos on my Mac. They appeared as RAW+Jpeg pairs with the Jpegs on top - the same way images come in from my Olympus and other interchangeable lens cameras. If I shot the RAWs and Jpegs as separate files, however, there appears to be a bug where the RAW comes in as a thumbnail only. My guess is that this will be fixed soon. But in the meantime, I would stick with RAW+Jpeg as a combined file for Mac photographers. All the other features worked great (including the wonderful editing interface). And for a one-time fee of $2.99, this app is a gem. I'm going to continue to test it during my assignment in Orlando. If I discover anything new, I will update here and on social. I have lots to do during this trip to Orlando, so I want to travel light. My Super Nimble kit is only 9" wide by 4.5" deep, yet it packs two cameras, 4 lenses, wireless flash, and all the necessary accessories. Incredible! I start with a Think Tank Mirrorless Mover 20 camera bag ($54.75) that's beautifully designed and crafted. When I'm out on foot, it slings lightly over my shoulders. When I'm flying, it stashes neatly inside my gear backpack. You may be wondering why I chose the OM-D E-M10 Mark II over my other Micro Four Thirds cameras. Beyond just the fact that I love shooting with it, it has a popup flash. I can use the popup as a wireless controller for the FL-300R for super versatile (and highly compact) off-camera flash. This is really handy when covering events on the go. 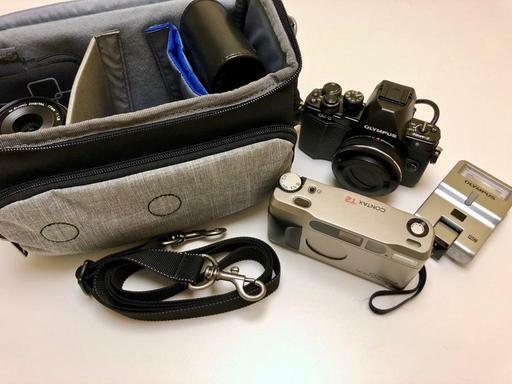 The Contax T2 is a premium 35mm camera with AF and manual focus, programmed exposure, aperture priority exposure with click-stop settings, and exposure compensation up to +2/-2 stops. I have the iPhone X in my pocket, so I can transfer images from the OM-D to the smartphone for immediate publishing. And when the weather gets bad, there's a protective rain cover for the Think Tank that I can quickly put on. This is a kit that I can carry all day and well into the night. And to be honest, I can tackle just about any photo opportunity with it. Follow me on Instagram, Twitter, and Facebook to see how it goes. This kit has a (super) high Nimbleosity Rating. What does that mean? You can learn about Nimbleosity and more by visiting TheNimblePhotographer.com. This is The Digital Story Podcast #637, May 29, 2018. Today's theme is "The Future of Lightroom" I'm Derrick Story. After the fall of Aperture, Lightroom stood tall as the best all around digital asset manager for serious enthusiasts and many pros as well. But a number things have changed since then - some initiated by Adobe, and others by external forces. And suddenly, Lightroom's future is a bit more cloudy than it was a couple years ago. And that's the top story in today's TDS Podcast. It's probably a good idea or a really bad one to discuss the future of Lightroom as I board a plane for Orlando to attend Photoshop World. But here we are. 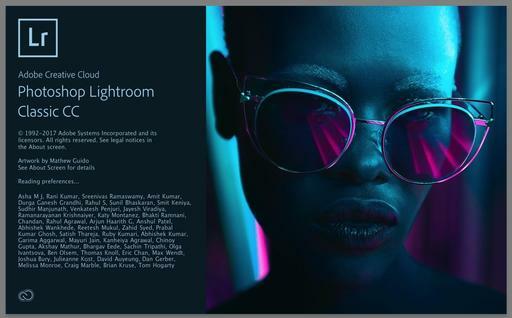 The End of the Perpetual License - In October 2017 Adobe announced the end of its perpetual license for new versions of Lightroom. If photographers want to stay current, they will need Creative Cloud subscriptions. Locked In Workflow - A few years back, Adobe redesigned Lightroom's import dialog. What followed was a good example of how software design becomes locked-in and unable to change to meet an evolving ecosystem. New Competitors - Later this year, Skylum will release their digital asset manager for Luminar. This highly anticipated update, if good, will continue to erode Lightroom's existing user base. Smartphone Popularity - Even though Adobe has done a good job with its mobility apps, the trend among consumer photographers is to let their smartphones handle all of their photography needs. For this group, a Creative Cloud subscription might not be that appealing. Software Fatigue - Sometimes you just need a change. What Adobe has going for it... First, it's not easy to switch from one digital asset manager to another. 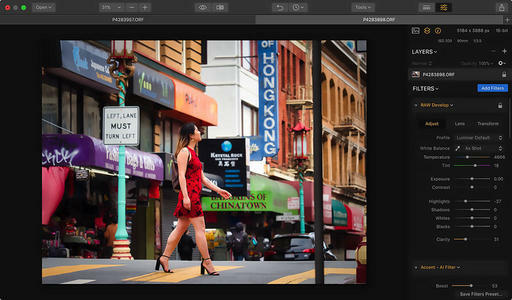 Many photographers will remain with Lightroom as the path of least resistance. Plus, Adobe has done a good job with its mobility apps. 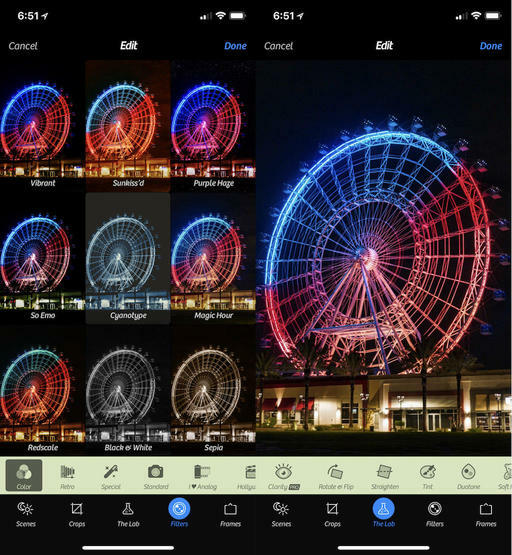 So those in the Adobe ecosystem can integrate their smartphone photography with their more serious work. And finally, Lightroom is a good app. It's had its ups and downs, but at the end of the day it is a solid processor, editor, and manager. I've received enthusiastic mail about how setting up a Portfoliobox site has rekindled the creative juices. So I thought what we could do is share this work with each other. I will build a directory of user sites and publish it on TheDigitalStory. And all through the month of June, I will feature one of those sites on this podcast. I recently reviewed the Luxli Cello 10" RGBAW LED Light, and I want to talk about why I think this is an incredible LED panel for photographers. I've really enjoyed working with bi-color LED lights for my portrait work. But the Luxli Cello 10" RGBAW LED Light expands this color versatility to a dizzying new height. 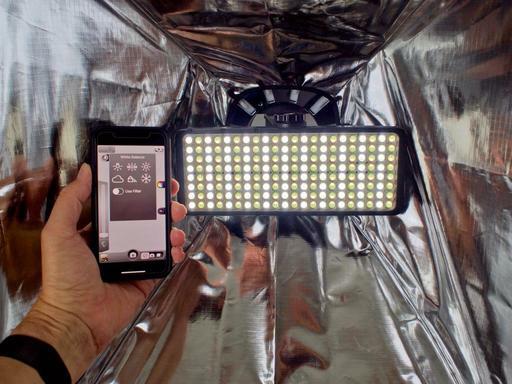 The Luxli LED panel inside a softbox with its Bluetooth controller app running on my iPhone. Each of the 176 individual LEDs inside the panel can reproduce red, green, blue, or white. 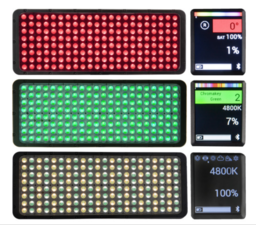 These color options can be mixed using three modes - white (or color temperature) mode, RGB mode, or filter mode. So all of my options are open. I can tune the panel for precise color temperature control during a portrait shoot. Or I can create an effect using its virtual color gels. There are two ways to enable these controls. The built-in LCD display on the back of the panel is intuitive and easy to read. I can adjust brightness, then switch between the RGB, gel filter, and CCT modes with the touch of a button. Or, I can use the free Conductor app (iOS and Android) to make these same changes. I use both control options. Typically, I first set up the lighting with the back LED panel. 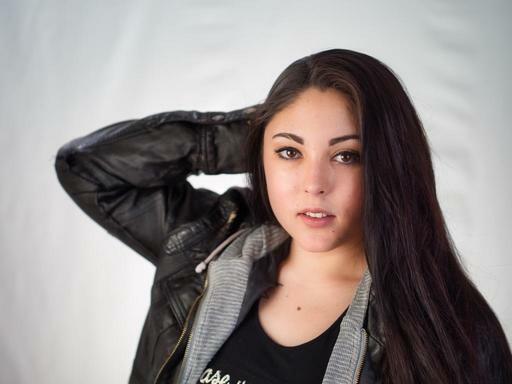 But I've also been using the Luxli in my portrait softbox. And for those shoots, it's super convenient using my iPhone to change the light settings. I can stay where I am in shooting position, adjust the light, then fire off another series. I never have to disrupt the flow of the shoot by walking over to the softbox, opening it up, and fiddling with the controls. The iPhone is always in my pocket, and it is my lighting remote control. Even though the Luxli Cello is compact enough for on-camera work, it's powerful enough for lightbox lighting in the studio. The Luxli uses the same Sony L-Series battery that my other LEDs use, so it fits into my family of lighting gear. It also accepts plug-in power via a wall adapter. The back panel showing the LCD display and the Sony L-Series battery. 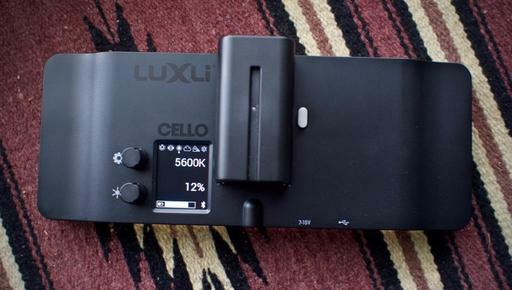 If you're looking for versatile, powerful lighting in a compact package, the Luxli Cello is certainly an LED panel to consider. Luminar is almost magical for aerial photography. Using the free bundled Aerial presets, the images spring to life. And this is one of the scenarios where I think Luminar 2018 is the perfect plugin complement to Lightroom. Take a look at this round trip from Lightroom to Luminar and back. Unedited drone image sent to Lightroom using the Luminar 2018 plugin. Returned image after using an Aerial preset in Luminar. The entire process took about 1 minute. Photo by Derrick Story. Setting this up is easy. First, make sure the plugin is enabled by opening Luminar 2018, and going to "Luminar 2018" > Install plugins. There are four choices: Lightroom, Photoshop, Aperture, and Photos. Click on Lightroom. 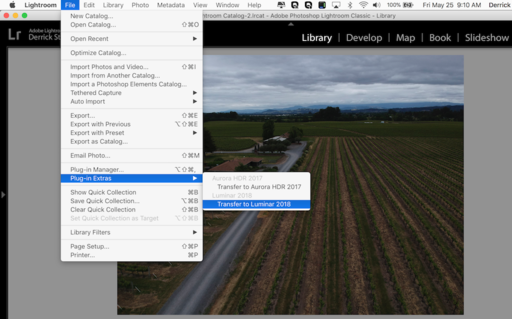 The open Lightroom, find an image, and go to File > Plugin Extras > Transfer to Luminar 2018. Enhance the image in Luminar 2018 and click the Apply button. 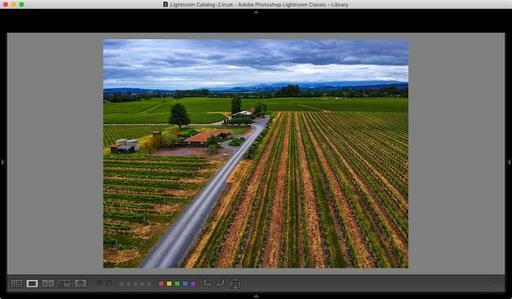 The edited image will return to your Lightroom catalog. It's that easy. And the results are amazing. For many of us, Luminar has evolved from an app that we use some of the time for special images, to most of the time in our daily workflow. As a result, efficiency is more important than ever. And keyboard shortcuts really help with that. \ Activates before/after comparison. When the key is pressed, the original image will be shown. Releasing the key will reveal the enhanced image. This is much faster than moving the mouse pointer up to the top toolbar. Tab Show/Hide the Preset panel at the bottom of the window and Side panel along right edge. The key will activate previously shown windows. I've been using this more lately because it displays my my image with a less distracting interface. The two I use the most from these favs are the B and the C keys. They are super handy because the functions are otherwise buried in slower popup menus. When I get in a zone with brushing, I just want to work fast. These commands really speed things up. What's interesting is that most of these shortcuts work with the editing extension version of Luminar as well. So if you're using Luminar in conjunction with Photos for macOS, then you can accelerate your workflow there as well. You can see all of the shortcuts on the Skylum Luminar User Manual page, but these will get you headed in the right direction. This is The Digital Story Podcast #636, May 22, 2018. Today's theme is "The True Summer Advantage" I'm Derrick Story. Summer is the season of family vacations, solo adventure, BBQing, baseball games, picnics, and bare feet. But for photographers, there's another benefit that might not be immediately apparent, but can be wildly useful and enjoyable - and that's the subject of today's TDS photography podcast. Light is the one thing that we need for photography, and there's plenty of it during the summer. And it's not so much the warmer days that I'm talking about, but the longer ones. Even if you can't take as many photo vacations or workshops as you wish, with a little planning, you can substantially increase your captures. Here's how. Let's say that you have a job that requires your presence from 8:30 am to 5:30 pm daily. If you're lucky, your workplace isn't far from home. Typically, that's not the case, however. But you can use this to your photography advantage. If the commute to work is 30 minutes, for example, then that puts you in a new environment away from the house. In prime summer, there's working light until roughly 8:30 pm. Using your workplace as a jumping off point, you have 3 extra hours for creative pursuits that you did not have in the winter. Open a map and draw a 1-hour radius from your work. What are the photo opportunities within that circle? Conceivably, you could bring your camera gear to work, leave the office at 5:30 pm, travel to one of these locations within radius, shoot a series of images, and be home by 9 pm. If you set this up to do just twice a month during the summer, you could add 6 or more quality photo shoots to your library without disrupting family obligations or daily routine. Think about the possibilities here. The latest gallery that I added to my Portfoliobox project is Wandering. And the process that led me to this topic is quite interesting (as explained during the podcast). I also tried a new feature. Mouse over any of the images on the gallery page, and a very attractive screen appears show the location for the shot. This allows me to add context to the image without cluttering up the gallery. One of things that I really noticed when assembling this collection was how important it was for the images to work together on the page. I started with over 60 candidates, and experimented with many combinations before I settled on the 16 that's displayed there now. DP Review reports: "Panasonic has announced its Lumix DC-TS7 (FT7 outside of North America) which is the first waterproof/rugged compact to have an electronic viewfinder. The viewfinder is 0.2" in size and has an resolution equivalent to 1.17 million dots and a magnification of 0.45x equivalent. Obviously, you won't be able to use the EVF if you have a scuba mask on, but for shooting in bright light on land it could come in handy. There's also a 3" non-touch LCD available for composing and reviewing your photos." "The TS7 has a 20.4MP, 1/2.3" BSI CMOS sensor and an F3.3-5.9, 28-128mm equiv. lens. It's able to go 31m/102ft underwater, can take a fall from 2m/6.6ft and can withstand 100kg / 220lb of crushing force. It's also freezeproof to -10C / +14F." Everyday online, I marvel at impressive images that are amazingly sharp, colorful, and display broad dynamic range. Indeed, today's photographers have access to the greatest tools ever. But sometimes I need something a little different, slightly less perfect. That's when I turn to analog or film emulation filters. For certain shots, this look helps me better tell the story. "Out for a Stroll" - Venice Beach, CA. Pentax Program Plus with Kodak 200 film. Photo by Derrick Story. Take a look at this shot from Venice Beach, CA. This is an iconic California location with interesting characters, palm trees, and sandy walkways. People have been hanging out here and enjoying the sights and weather for decades. And for me, that history is part of the story, even for images captured today. There are many different ways to paint this scene and tell the story. And to be honest, I would probably like most of them. I often shoot both digital and analog at the same time, then decide later which direction I want to go. For this series, the analog feel won hands down. You don't have to shoot film to play in this sandbox. Every major processing application has film emulation presets available, either as part of the app, or via plugins. And what I've found is that I tend to lean on just a few of those presets for most of my shots because they have a look that I find appealing - just like I typically work with just a few film stocks. Digital photography has brought amazing flexibility to our image making. And if we think to, we can choose from an array of looks to help us better tell the story. You can discover just how flexible your digital photography can be with my Luminar 2018 Essential Training on lynda.com and on LinkedIn Learning. It's fun, and it's amazing what you can do with your images. 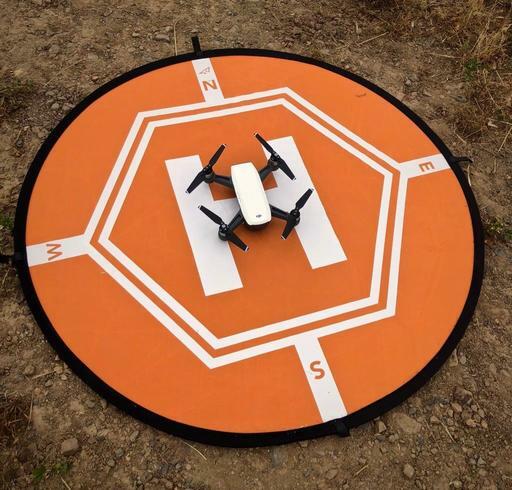 One of the things that came up while Mike Boening and I were talking quadcopters on a recent TDS Podcast, was the value of a landing pad for your drone. No, it's not a gimmick. It's a real accessory that I think you'll like once you try it. "Why?" you may ask. "Dust" is the answer. The AURTEC Drone Landing Pad is a collapsible landing disc that helps control dust when landing your quadcopter. 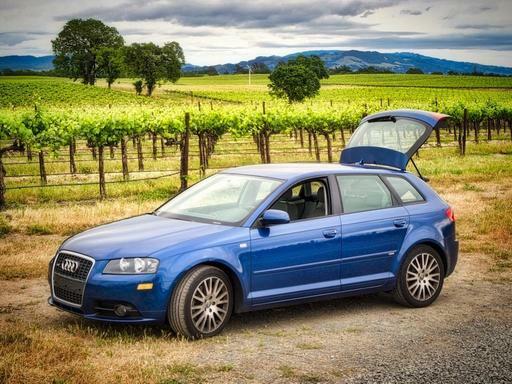 I spend a lot of time landing on dirt roads or on the edges of vineyards. All of these places are extremely dusty, especially when landing a drone with four spinning propellers. To help combat this problem, I bought myself a 32" AURTEC Drone Landing Pad for $22 that provides a nice big target for my DJI Spark to touch down. The pad collapses to a mere 12", just like the reflectors that we use for portraits. It includes a case, four stakes, and even landing lights, if you need them. In addition to keeping my quadcopter cleaner, it's also fun to practice landing on my own instead of using the auto-land feature of the Spark. And for $22, I have to say, not only is it one of my most affordable accessories, it's also one of the coolest. This is The Digital Story Podcast #635, May 15, 2018. Today's theme is "The Right Drone for You - An Interview with Mike Boening" I'm Derrick Story. Ever since I read about the new Mavic Air, I have wondered if I should replace my beloved Spark. To help me decide, I called up my friend and drone enthusiast Mike Boening to discuss the latest in quadcopters, their accessories, and a few important flying tips. I also recorded it to share with you on this week's TDS Podcast. 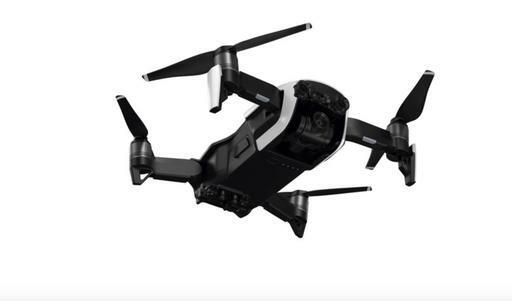 "The Right Drone for You - An Interview with Mike Boening"
Mike and I get to the bottom of the question: "Should I replace my DJI Spark with a new Mavic Air? The latest gallery that I added to my Portfoliobox project is Portraits of Women. My thinking was that I have all these galleries that I've produced for these women, wouldn't it be fun to pick one image from each of my favorites, and build a Portfoliobox page with those shots? And the answer is: it was very fun.